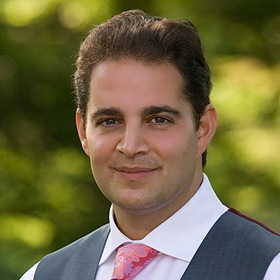 Aaron Jungreis has earned a solid reputation in the real estate circles of New York City for identifying opportunities and closing deals. Aaron Jungreis’ dynamic relationships and extensive network of commercial property owners and developers has earned him a well-deserved reputation as the consummate dealmaker. The deals brokered by Aaron Jungreis and Rosewood Realty Group have been featured in prominent publications such as The New York Times and Crain’s New York, and Jungreis regularly appears as a selling and buying broker in Real Estate Weekly and The New York Real Estate Journal. Throughout his remarkable career, Aaron Jungreis has sold over $4 billion in property. His portfolio is a showcase of luxury and comfort in an array of multifamily properties, office buildings, shopping centers, development sites and conversion deals ranging from $1 million to $500 million. Following his graduation from the University of Maryland and Touro College, Aaron Jungreis began his successful history in commercial real estate as a broker for a New York-based firm. Throughout his career, Aaron Jungreis established solid, long-lasting relationships with commercial property owners and high-end investors. In 2007, Aaron Jungreis founded Rosewood Realty Group. Once again, Jungreis’ ability to capture an opportunity ahead of the rest resulted in closed deals totaling nearly $1.2 billion during the firm’s first year in business. The company averages 40–50 deals a year. Under his diligent management, the firm expanded from its regional presence to become recognized as a national leader in the industry, with Rosewood consistently landing among the top 10 city’s brokerages in sales of multi-family apartment buildings. While the real estate market tightened and other companies downsized, Jungreis leased 3,000 square feet of space and was up and running closing deals with a staff of 10, including eight brokers. Jungreis knew the stormy times are often the best time to build a solid infrastructure and hire good talent. Aaron Jungreis himself was twice awarded the CoStar Broker of the Year award, and in 2006 was named the “Investment Property Sales Broker of the Year” by the prestigious Mann Foundation at its “Annual Mann of the Year Awards” ceremony. In 2008, Crain’s New York Business’ Special Real Estate report listed Rosewood Realty on the story “3 Firms Bet Right time to Launch”. Since January, 2010 Rosewood Realty Group has sold over 50 buildings worth over $300 million dollars, mostly multi-family six-story elevator buildings in Manhattan, Brooklyn, the Bronx and Queens. The growing number of investors attracted to his products has easily positioned Aaron Jungreis as a leader in the commercial real estate market. He consistently capitalizes on his core strengths in industry leadership and innovation to bring to the market a unique product that raises the bar in quality of development, prime location and optimal financial benefit. Aaron Jungreis and his team of seasoned brokers are experts at targeting solid investors for commercial properties often in quiet, off-market deals that bring buyers and sellers together without ever listing a property in neighborhoods throughout the city. He knows who needs to buy or sell and where the best properties are located. On the sale of a high rise building on West End Avenue in Manhattan for $72 million, Aaron Jungreis signed and closed the deal in under 60 days. Given the successful history of sales of such a wide variety of properties, and with Aaron Jungreis at the helm, Rosewood Realty Group promises to continue its rise as one of the most successful brokerage companies in the industry.